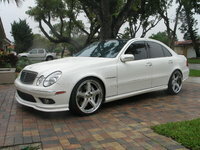 CarGurus has 22,320 nationwide E-Class listings starting at $1,500. Mercedes-Benz is creating an all-new E-Class as we speak. Chances are good that its fifth-generation redesign will be wonderful, and for those of you who need to have the newest of new and have your heart set on an E-Class, it might be worthwhile to wait a year. 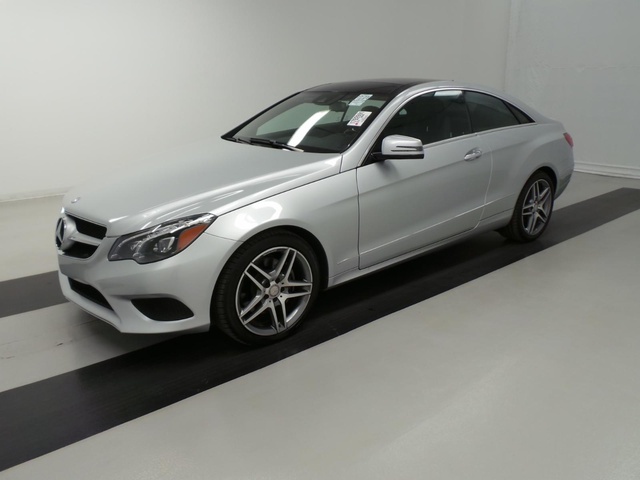 But if you’re in the market for one of the world’s best vehicles and want the dependability that comes with cars at the end of their production cycle, look no further than the 2016 Mercedes-Benz E-Class. With the major overhaul looming, there are few updates for the 2016 E-Class. The biggest change is the discontinuation of the E400 Hybrid and the regular E63 AMG models, but the E-Class can still be had in a plethora of variations. First, you get to choose from four body types: sedan, convertible (cabriolet), coupe, or wagon. From there you get to pick from a range of trim levels that correspond to the engine. The E-Class sedans, which comfortably seat 5, can be had with a 4-cylinder turbodiesel in the E250 BlueTec, a V6 in the E350, a turbocharged V6 in the E400, or a turbocharged V8 in the E63 AMG S. The wagons, which can carry up to 7 passengers, get a choice of the V6 E350 or the turbocharged V8 E63 AMG S. And the 2-door coupes and convertibles, which can squeeze 2 into the back seat if necessary, come with either the V6 in the E400 or the V8 in the E550. The trims are further broken down into Luxury (17-inch alloy wheels, traditional grille, separate hood ornament, and a 4-spoke steering wheel) and Sport (two-bar grille with integrated three-pointed star, sport-tuned suspension, aluminum pedals, and 3-spoke steering wheel). Like the model choices, the list of E-Class features is a long one, and the permutations are many. Standard features include LED headlights, adaptive suspension dampers, sunroof, dual-zone automatic climate control, 10-way power front seats with memory, MB-Tex simulated leather upholstery, Bluetooth, an 8-speaker sound system with 6-CD changer and iPod/USB interface, and the COMAND infotainment interface. The COMAND system is older and may take some time to learn, but once you figure out the basics, you’ll understand why many still consider it the best control system. The E350 wagon also comes with a standard power liftgate, rear-view camera, and rear-facing third-row seat. Available features include leather upholstery, a panoramic sunroof, heated seats, navigation, power mirrors, split-folding rear seats, a 14-speaker Harman Kardon Surround Sound audio system, Lane Tracking (alerts the driver if the vehicle is drifting) with a blind-spot monitor, adaptive cruise control, forward collision warning, multicontour seats, and an automated parking system. The E63 AMG S sedan and wagon come with a specially tuned and designed engine, transmission, adjustable suspension, steering, brakes, and exhaust, as well as unique interior and exterior trims, 19-inch wheels, limited-slip rear differential, and sport seats with driver massage and adjustable bolsters. And all convertibles receive a power-folding soft top, a rear center pass-through, and a pop-up air deflector. Best of all, these features are superbly constructed with high-quality materials. And they don’t overwhelm any of the E-Class vehicles—instead they blend in with the classic style that is a Mercedes-Benz trademark. The engineering is no less pristine under the hood. The E250 BlueTec has a turbocharged 2.1-liter 4-cylinder diesel that produces 195 hp and 369 lb-ft of torque and gets 28 mpg city/42 highway. The E350 uses a 3.5-liter V6 that creates 302 hp and 273 lb-ft of torque and gets 20/29 in the sedan and 20/27 in the wagon. The E400 relies on a turbocharged 3.0-liter V6 that churns out 329 hp and 354 lb-ft of torque and gets 20/29 in the sedan, coupe, and convertible. 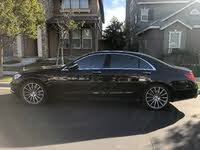 The E550 ups that with a 4.7-liter turbocharged V8 that cranks out 402 hp and 443 lb-ft of torque and gets 18/26 in the coupe and 17/26 mpg in the convertible. And finally the E63 AMG S uses a turbocharged 5.5-liter V8 beast to produce a whopping 577 hp and 590 lb-ft of torque while getting 15/22 in the sedan and 15/21 in the wagon. All of those engines are mated to a 7-speed automatic transmission, although the transmission for the E63 AMG S uses a multiplate clutch pack to enhance handling. Most of the E-Class variations can be had with either rear- or all-wheel drive (4Matic), but the E63 AMG S models and E350 wagon come only with 4Matic, and the E550 coupe and convertible are rear-wheel-drive only. The fuel efficiency numbers listed above are for the rear-wheel-drive models (except for the E63 AMG S and E350 wagon models), and they do less with all-wheel drive, but just a tick. The E-Class delivers an amazingly smooth and comfortable ride (except for the E63 AMG S models, which come with an extra-firm suspension and ability in the corners) that one has come to expect from a Mercedes-Benz, yet at the same time offers the driver responsive control and feel. If the diversity, classic good looks, abundant comfort, convenience, and handling don’t sell you on the E-Class, the safety features will. All models come standard with front and front-side airbags, front pelvic airbags, side curtain airbags, a driver's knee airbag, driver drowsiness monitor, antilock disc brakes, stability control, and the mbrace telematics system, which has smartphone integration and Web-based apps that include emergency services, driver monitoring, and remote controls. What's your take on the 2016 Mercedes-Benz E-Class? 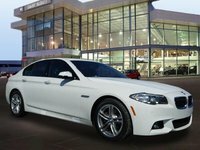 Users ranked 2016 Mercedes-Benz E-Class against other cars which they drove/owned. Each ranking was based on 9 categories. Here is the summary of top rankings. 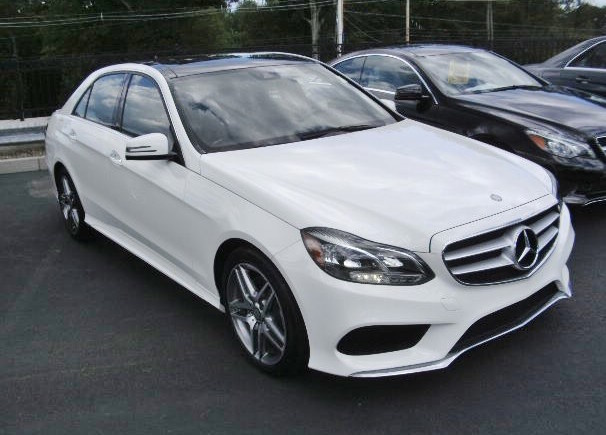 Have you driven a 2016 Mercedes-Benz E-Class? Is It Necessary To Get Car Inspected If It Is Pre-certified? 2016 Mercedes E250 Bluetec Is Being Destroyed By Rodents!!! I do not want my name in the add.